Iran is holding a military exercise to test its missile and radar systems on February 4, a day after the United State imposed sanctions on Tehran over its recent ballistic-missile test. Iran's Islamic Revolutionary Guards Corps website said the maneuvers in the northeastern province of Semnan were aimed at demonstrating their "complete preparedness to deal with the threats" and "humiliating sanctions" from Washington. Iranian state media reported that missile systems, radars, command-and-control centers, and cyberwarfare systems will be tested in the drill. News agencies quoted a senior Revolutionary Guards commander as saying Iran's missiles will come down on the country's enemies if they do wrong. "If we see the smallest misstep from the enemies, our roaring missiles will fall on their heads," the head of the Revolutionary Guards' aerospace unit, Amir Ali Hajizadeh, was quoted as saying on February 4. Relations between the United States and Iran have deteriorated sharply since President Donald Trump took office last month. Washington sanctioned 13 individuals and 12 entities on February 3 after the White House put Iran "on notice" over a ballistic-missile test and other activities. On February 4, U.S. Defense Secretary James Mattis called Iran "the single biggest state sponsor of terrorism in the world." Iran is one of seven predominantly Muslim countries targeted by a visa ban Washington ordered last week. Tehran, in response, banned a U.S. wrestling team from a major international tournament it is hosting later this month. The United States says Iran's January 29 missile launch defied a 2015 UN Security Council resolution calling on Iran not to test nuclear-capable missiles, which Tehran denies. In a tweet on February 3, Trump warned that Iran is "playing with fire." Trump campaigned on promises to take a much tougher stance on Iran than his predecessor, Barack Obama, in response to actions including threats against Israel and involvement in conflicts in Syria and Yemen. 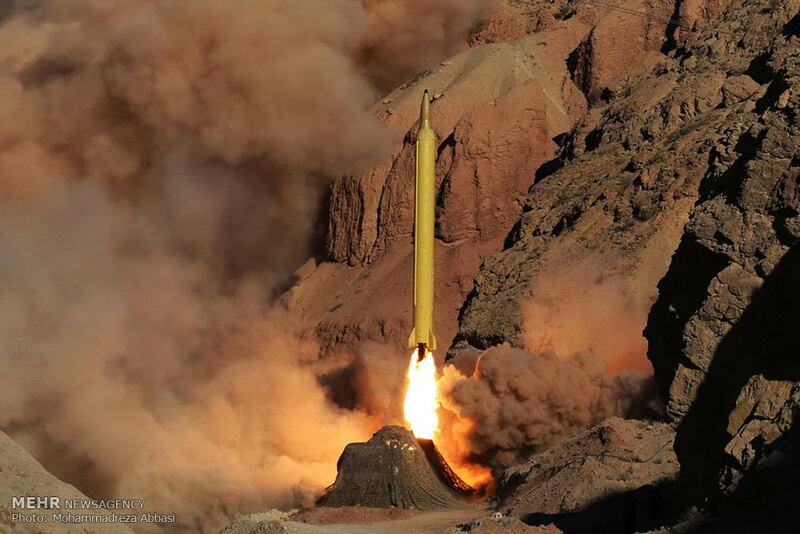 Tehran confirmed on February 1 that it had test-fired a new ballistic missile but said the test did not breach Iran's 2015 nuclear agreement with world powers or a UN Security Council resolution endorsing the pact. Iran has test-fired several ballistic missiles since the nuclear deal, but the latest test was the first since Trump took office. The UN Security Council held an emergency meeting on January 31 and referred the matter to its committee on Iran for an investigation.